A Saudi representative has called for the same rules to apply across the Gulf Cooperation Council (GCC) region when it comes to regulating consumer products. Speaking at a forum in Dubai on Monday that tackled challenges faced by the cosmetics and personal care industry, Mishal Al Tamimi said more needs to be done to make the rules the same on importing consumer products into the region. If we have the same rules in all GCC countries, it would be easier for the companies to adhere to them,” said Al Tamimi, a supervisor at the Saudi Food and Drug Authority. “It’s difficult to import a product to Saudi Arabia and not import it to Dubai,” he said. Al Tamimi was one of several speakers at the two-day forum — the first of its kind — alongside representatives from other GCC countries, including Bahrain and Oman. Naseem Rafee, head of consumer products safety in Dubai, said while the end goal would be to have unified rules “governing over consumer products in the GCC region, the priority now is to focus on the UAE, where each emirate has a different set of rules governing the regulation of consumer products, from lipsticks and shampoos to skin creams. “We need to reach a level of harmonisation between all municipalities (in the UAE),” Rafee said, adding that harmonising the rules across the country would give the consumer product industry a boost. Speaking on how the European Union (EU) has dealt with laws on regulating consumer goods, Simon Young, an active member of the EU Cosmetic Industry Association, said it’s a model that has been adopted in Latin America and South East Asia. And the GCC is giving it a look. 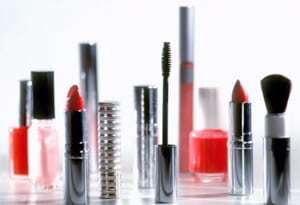 “The European Commission takes responsibility for developing the law and every member state in the EU has input on approving the law and the implementation of the law happens at the local level,” Young said, noting that Dubai is beginning to look at how other parts of the globe tackle cosmetic regulation.